Capital Circle SW – Apalachee Parkway to Tram Rd. 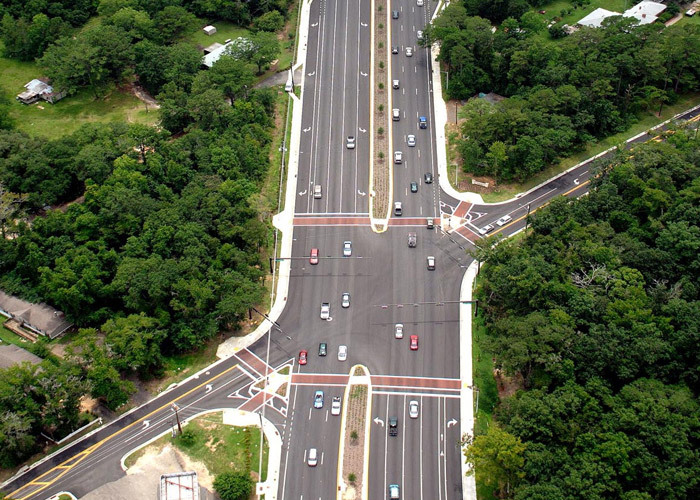 | M of Tallahassee, Inc.
A 4.4 mile Blueprint 2000 Design Build project that reconstructed an existing two lane roadway in southeast Tallahassee to a six lane divided highway. Completed in 2008. Major items of work included Earthwork, Limerock, Asphalt, Traffic Signalization, Retaining Walls, Stormwater and Sanitary Sewer Construction, Potable Water, Reuse Water, and the repair and upgrade of a 42″ force main. Additionally, there was extensive street lighting and landscaping.